We can’t do that on our website; we don’t have Amazon’s budget. I’m here to set the record straight. 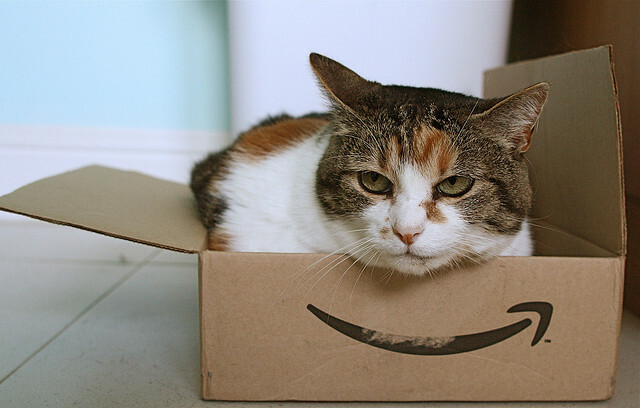 You don’t need Amazon’s budget to provide an optimal user experience on your website. And while we’re on the topic of Amazon’s website, their user experience is not that great. That may surprise you, because as longtime Amazon customers, we know our way around the browsing and purchasing experience. But if you’re a first-time user, you’d find their site cluttered and confusing, full of roadblocks to making a decision and purchasing, such as rows of product recommendations and pre-checked boxes that you need to uncheck. Despite its less-than-optimal user experience, the Amazon website is a trusted online brand and shopping there is easier than the alternative—taking the time to go to a store. That’s why we keep going back. Have empathy for your website users. A focus on user experience will help you maintain a visitor- or member-centric point of view. You need to develop empathy for your users, so you can design the best solutions for them. Here’s a simple empathy test. If you’ve made the decision to not publish staff contact information on your site, think about your reasoning. Is it to prevent staff from having to deal with additional calls and emails? Is that a user-centric point of view? Sometimes a simple change can have a big impact. Instead of giving each department a navigational tab on your website, think like a website user. Why are they coming to your site? What do they usually come to do or find? Create website categories and navigational tabs based on user behavior, not your organizational chart. Don’t let a siloed culture ruin the user experience. Pay special attention to business rules. Business rules usually get in the way of a good user experience. For example, if you want a visitor to fill out a form to download a report, don’t ask for everything you could possibly put in your database. Ask for only what you need at the moment. You’ll have an opportunity to get more data later. The visitor won’t be frustrated, and you’ll have a better starting point for building a relationship and learning more about their website behavior and needs. Provide elements of the Amazon user experience. Amazon is frequently touted as a model website because their user experience does out-perform the typical association website user experience in a few ways. When you go to amazon.com on your phone or tablet, you’re given the option to use the Amazon app instead—a wise option since their mobile site isn’t all that great. You can do better than Amazon by having a mobile-friendly or responsive website. If you’re a regular user of Amazon, you can set up your profile so it only takes one click to purchase a product. How many clicks does it take for someone to go from your homepage to completing an event registration or submitting a membership application? Wherever possible, simplify by removing stumbling blocks and speedbumps. Amazon provides a personalized experience because it stores your search, browsing, and purchasing history. Personalization is a two-way street. Users must be willing to give up information in exchange for a better website experience. Personalization and customization are often confused. Customization is a user option. For example, on a news website, users can customize their preferences so they only see the breaking news and sports headlines when they land on the site. Personalization is a website option and goes well beyond a simple “Welcome back, David” message. Personalization delivers smart value to different visitor segments. For example, if you’ve read articles about wheat rust diseases, the website will suggest related content and events in the sidebar. It doesn’t take an Amazon budget to provide personalized value delivery to your website audiences. To make it happen you only need to put in place a good taxonomy and to define rules in your content management system. Yes, I realize that simple sentence represents a significant level of effort on your part. However, if you want to deliver a great user experience, it takes effort. So you want to have an Amazon-like association website? Amazon succeeds because it studies and understands the behavior of its audience. Your association can do the same. Once you understand your target audiences and their needs, interests, and challenges, you can provide a user experience that delivers the value they seek.